Shri Kailash Yantras, Shri Mahalaxmi Yantras. Sphatik Shree yantra of high quality and finishing with best finishing and Genuine quality crsytal (sphatik). Owing to the presence of our expert team members, we have been able to offer a wide range of AshtaLakshmi Yantra (Ashtalakshmi Srichakra Yantram). 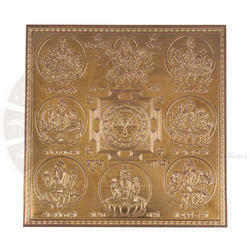 Sampurn Shri Dhan Laxmi Yantra - To overcome all your Financial Problems & To Get Blessings Of Maha Laxmi. - The Mahalakshami Yantra is the divine symbol of Goddess Lakshmi, the deity of prosperity and wealth and the supreme giver of affluence and comfort upon land. shree dhan laxmi kuber dhanvrsh yantra, it is benificial for your many problem, protection from enimies. she dhan laxmi yantrakuber dhan varsha yantrawill becomechange to your luck and apportunities, because tries to any work, that is big points of your life. this is great powerful product for your life.product informations;1. We are engaged in offering Shree Mahalaxmi Yantra to our clients. Ya Devi Sarv Bhuteshu Lakshmirupen Sansthitha Namastasye Namastasye Namastasye Namoh Namahll Sri Mahalaxmi Yantra Dhan Varsha yantra, Mahalakshmi Yantra is the the auspicious yantra for wealth and comforts in life, Mahalakshmi" is the goddess of Money, Wealth. 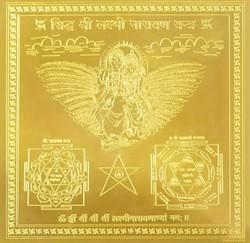 Vyapar Vriddhi Yantra is related to Maa Lakshmi. The devotion of Vyapar Vriddhi Yantra helps in getting the blessings of Maa Lakshmi, which results in the enhancement of business and trade. It actually increases the opportunities to gain a lot out of business and profession. For Money, Prosperity , Power , Use if your Expenses are more then your earnings.